BIOTECH LEADS 2008 HEALTH CARE M&A TO NEAR RECORD LEVELS ACCORDING TO NEW REPORT FROM IRVING LEVIN ASSOCIATES, INC.
NORWALK, CT –January 16, 2009 – During 2008 and based on preliminary results, a total of 973 mergers and acquisitions were announced in 13 sectors of the health care industry, a 9% decrease from the 1,074 transactions announced in 2007. Based on prices revealed to date, a total of $223.1 billion was committed to finance the year’s 973 deals. This represents a 4% decrease from the $231.8 billion in 2007. Accordingly, 2008 is the third-largest year ever for health care M&A in terms of dollars spent, after 2006 with $268.3 billion and 2007, but ahead of 2004 with $164.3 billion and 2005 with $162.3 billion. 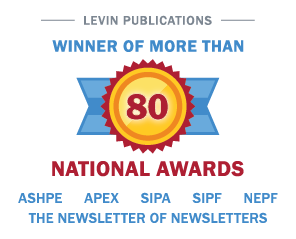 For more information on The Health Care M&A Information Service, The Health Care Acquisition Report or for a subscription to any Irving Levin publication, call 800-248-1668. Irving Levin Associates, Inc., established in 1948, has headquarters in Norwalk, CT. This privately held corporation publishes research reports and newsletters, and maintains merger and acquisition and venture capital databases, on the health care and senior housing markets.